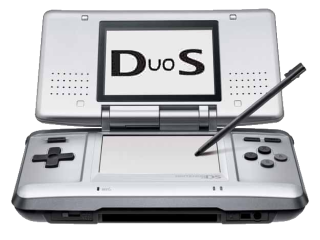 DuoS - Nintendo DS Emulator: DuoS is flying! After the last major improvementdone on DuoS, emulation performance has increased very significanlty. An almost fully featured Dynamic Recompilation Engine has been succesfully integrated, without messing much with emulation timing, and the latest version of GPU skipping works like a charm, without adding any kind of graphical artifact on screen. 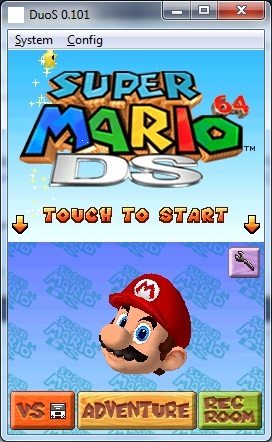 Basically, this means : realtime/normal speed emulation on a normal non-accelerated PC without consuming a lot of CPU... as well as a new 8x FastForward feature.. in a relatively high compatibility Nintendo DS emulator ( just use your imagination ). Regardin the still missing features; Sound is already working, but crappy and with very limited support; a full re-sampler is in the works, which might be ready after next weekend. 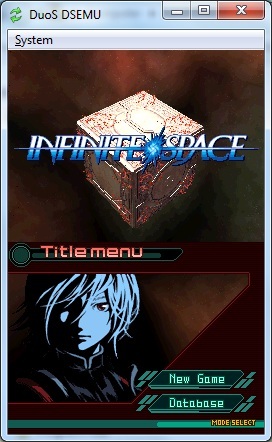 Once I get tese final features working in an acceptable way, DuoS DSEMU first public release will see the light.